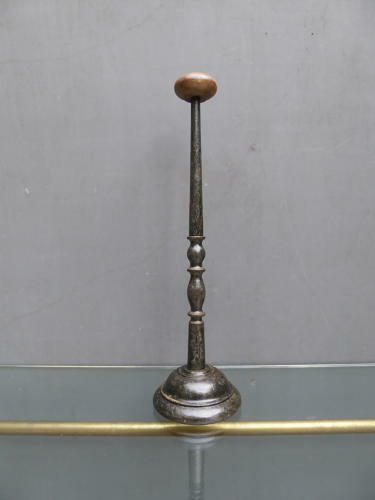 A beautiful example of a turned wooden Georgian wig stand. A wonderful piece of excellent form, the raised base supporting a turned upright finished with a small top in a natural finish. The base comes carefully weighted with an inset lead ring to provide added stability & the original ebonized finish boasts a fantastic patina.